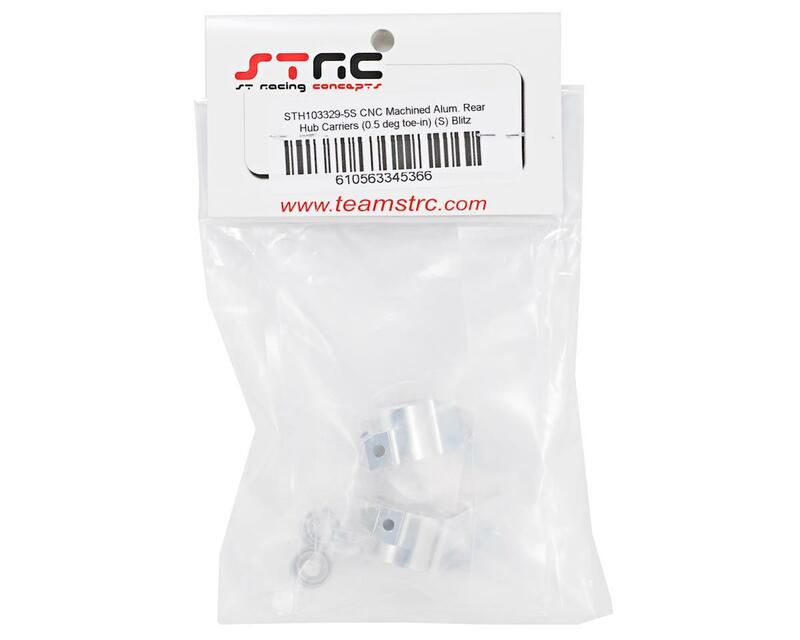 This is an optional ST Racing Concepts Aluminum 0.5° Toe-In Rear Hub Carrier Set, and is intended for use with the HPI Blitz. 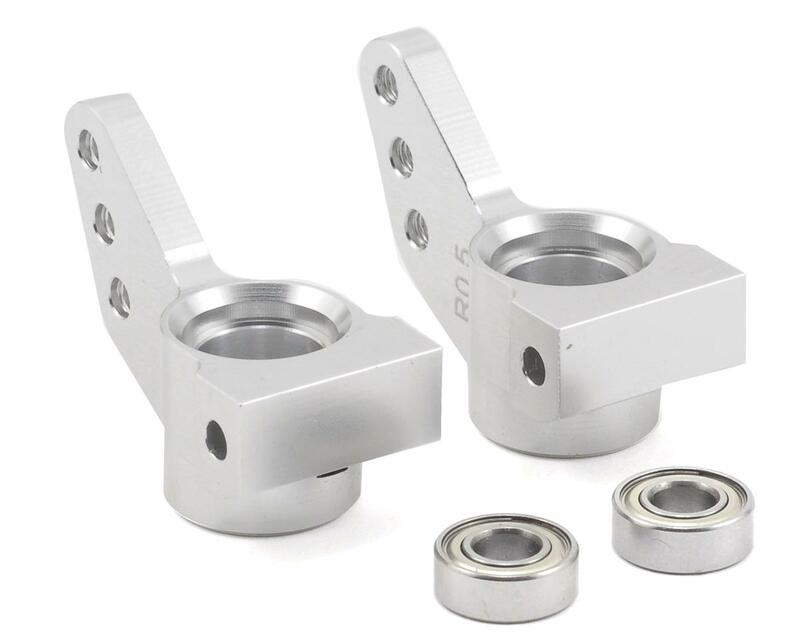 CNC Machined from high quality aluminum, these rear hub carriers feature a set-screw over hinge-pin design so the hinge-pin does not wear down the hub carriers, as well as non-anodized bearing locations to ensure the tightest tolerance and fit for the bearings. The 0.5 deg. toe-in adds a bit more stability and rear traction to your Blitz, and an oversize 5x11mm outer bearing helps to improve durability.